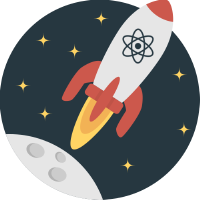 We are happy to announce that we just open-sourced a small library for the redux ecosystem called redux-bootstrap. redux-bootstrap is a bootstrapping function for Redux applications. Redux bootstrap does not generate files for you. It is not a project template or project scaffolding tool and it is not related with Bootstrap (responsive web apps framework). Redux-bootstrap handles most of the common application initialisation / bootstrapping that takes place every time you create a new Redux project. Integrate the React router with Redux. Enable DevTools is environment is development / Disable if environment is production. Combine reducers into a root reducer. Create the Root component (Provider, Router). Set the routes, history and store in the Root component. The redux-bootrap package handles all this stuff for you! This idea is based on the bootstrap function which is available in other modern JS framewokrs like the Angular 2.0 or the Aurelia bootstrapping functions. Then use the bootstrap function in your application’s entry point. That’s it, Routing, Immutable, DevTools are ready and you can start working on your app! Note. If you are looking for a sample application, you can refer to the tests in the redux-bootstrap GitHub repository to find one. The tests use a whole redux application and the bootstrap function. The result object returned by the bootstrap function provides access to the store, synched history or root component. TypeScript is recommended if you want to enjoy the best development experience. We hope that the React / Redux community will enjoy this small utility. Please check it out and help us to find issues. The project can be found on GitHub and we are happy to accept contributions. Please feel free to share thoughts about this article with us via @OweR_ReLoaDeD and @WolkSoftwareLtd.